Sleeping Under the Stars is one of the colors I was most excited about. 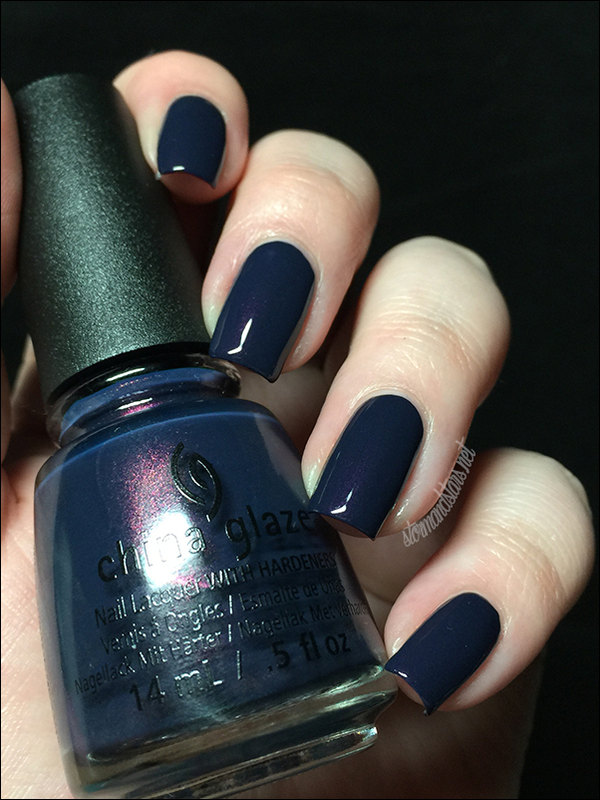 It is a deep dusty blue with a creamy finish and filled with a beautiful copper shimmer. 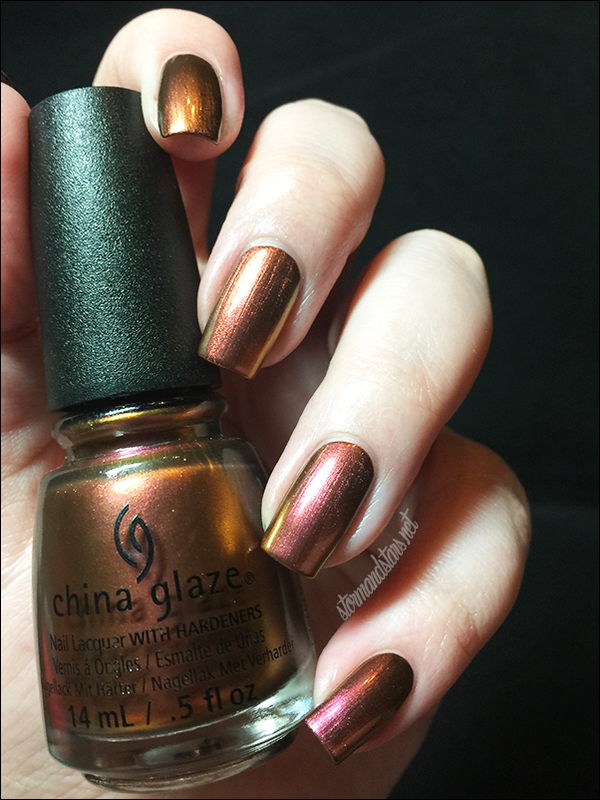 The shimmer is much more apparent in real life, but you can see it the most in the bottle shot below. 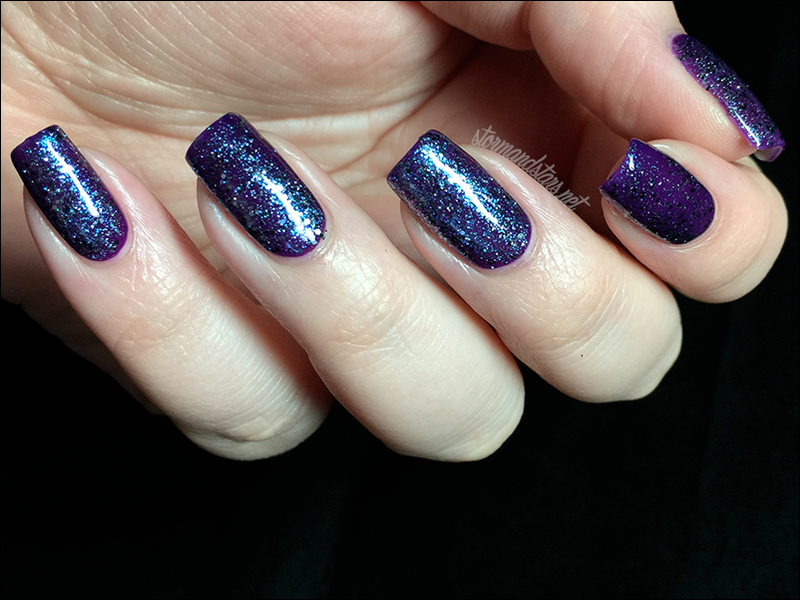 I used just one coat of Sleeping Under The Stars plus topcoat for these images. The formula was amazing. 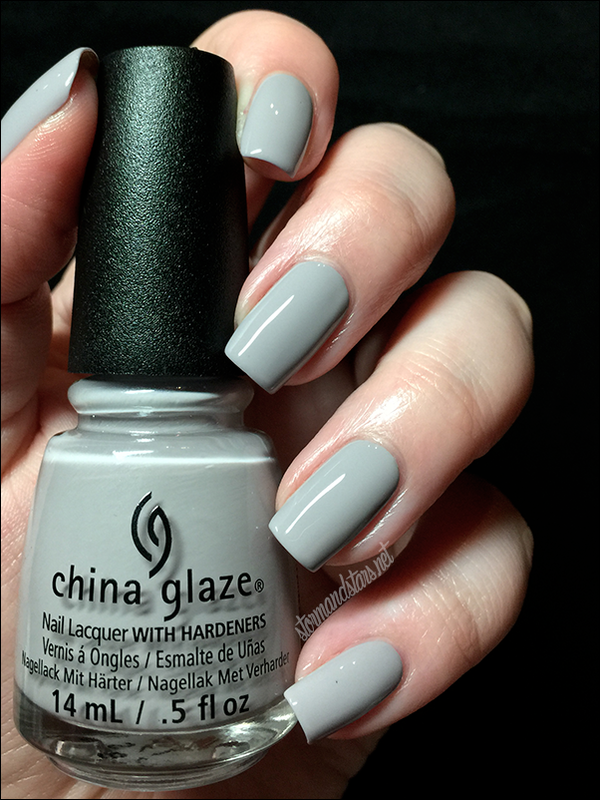 Next up is another creme based polish, this is Change Your Altitude. Change Your Altitude may have photographed more on the grey end of the spectrum, but it is a grey with almost a putty tone in real life. 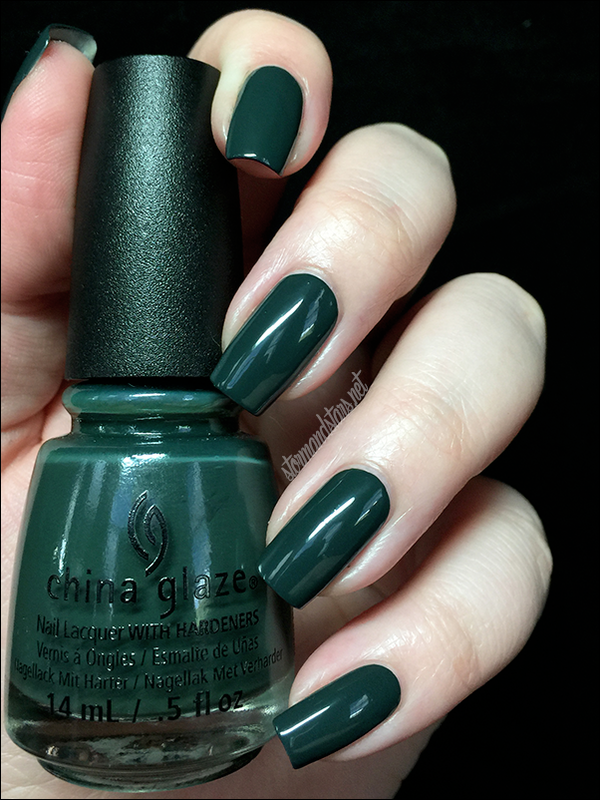 I love the color of this polish, definitely unique in my extensive stash. 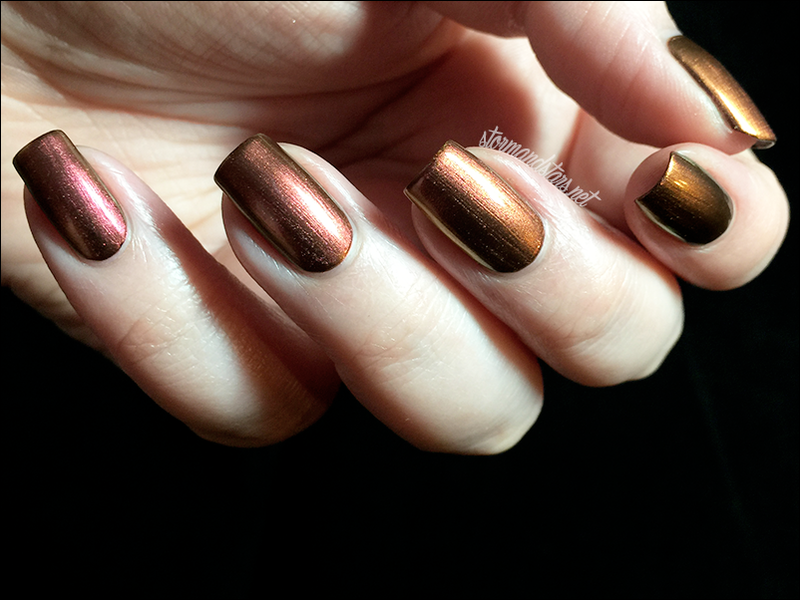 I did two coats of Change Your Altitude for these swatches and then added topcoat. I did find this polish to be kinda goopy and it bubbled slightly on my nail. Since the rest of this collection was stellar, my guess is that my bottle wasn't sealed properly and thickened up a bit. I'll be adding some of my trusty thinner for the next time I use it. 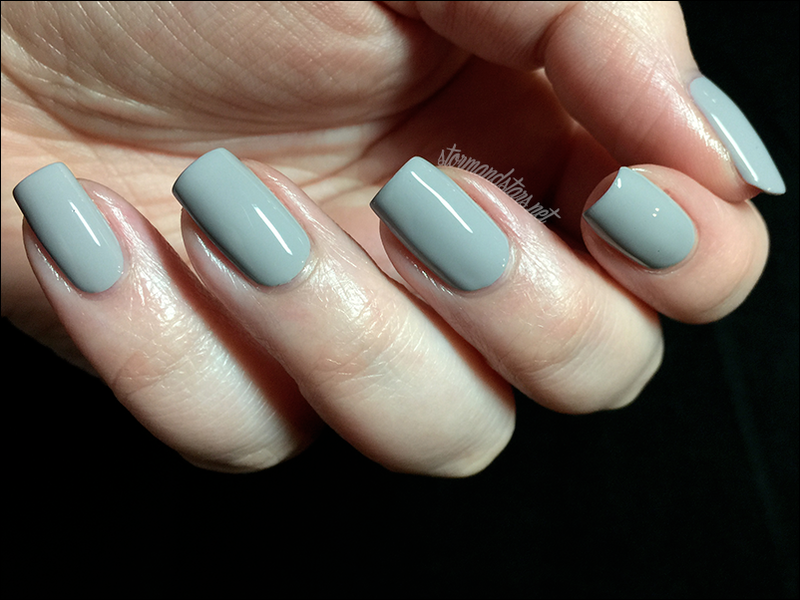 Overall, I can see this color becoming a staple in my routine. First of the three duochromes is Cabin Fever. 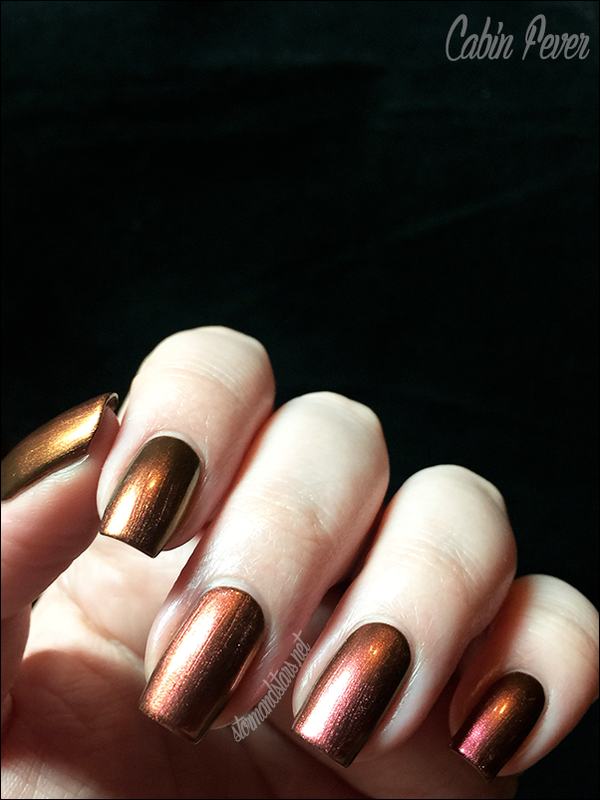 Cabin Fever is a reddish copper to reddish gold duochrome lacquer. It looks best layered over a black undie and looks awesome in low light. 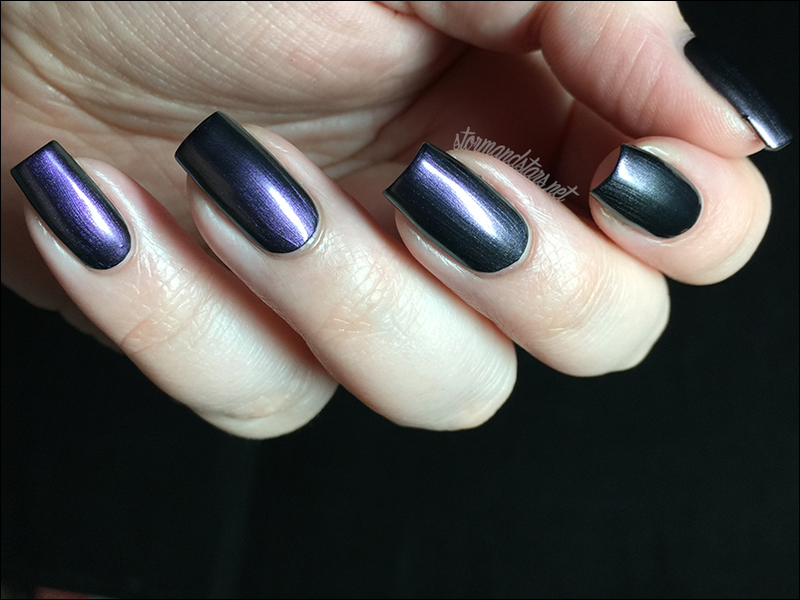 I started with a base of Cult Nails Nevermore for these swatches and then added two coats (I really could have left it at one.) of Cabin Fever. I left it without topcoat for the photos. The formula was great, but I do suggest a light hand for the least amount of brush stroke lines. 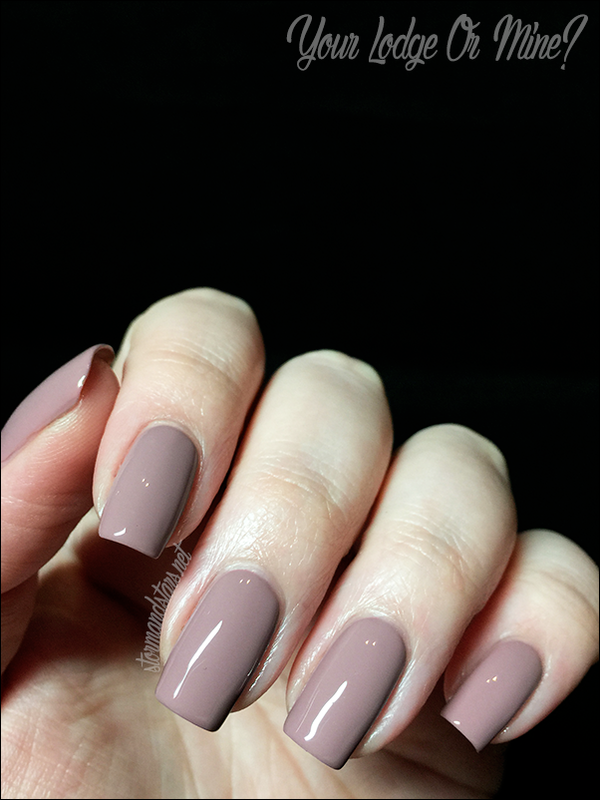 Next is another beautiful creme, this is Take a Hike. 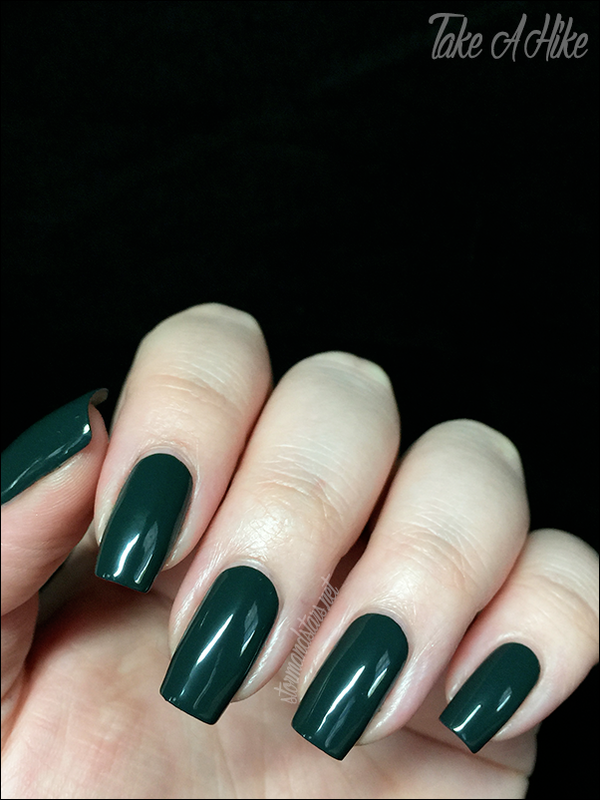 Green usually isn't my color, but this deep hunter green is beautiful! 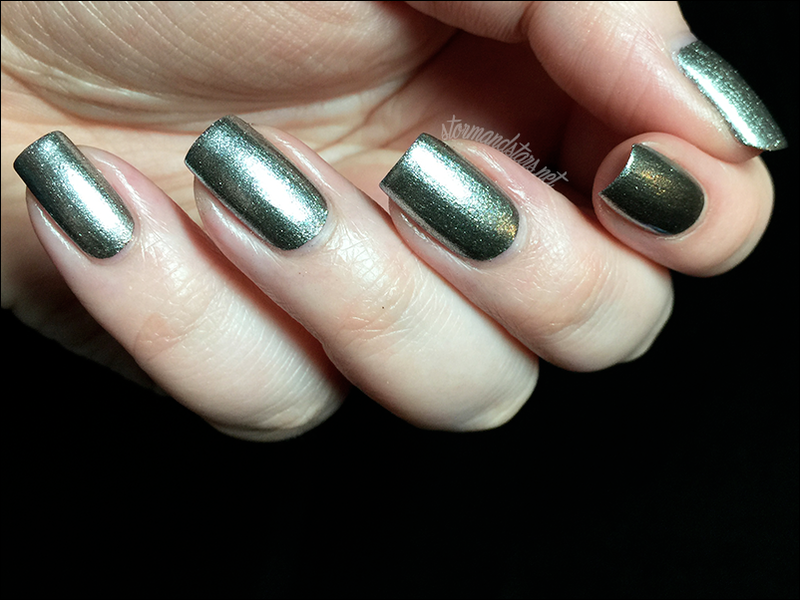 I did two coats of Take a Hike and then added topcoat for these images. 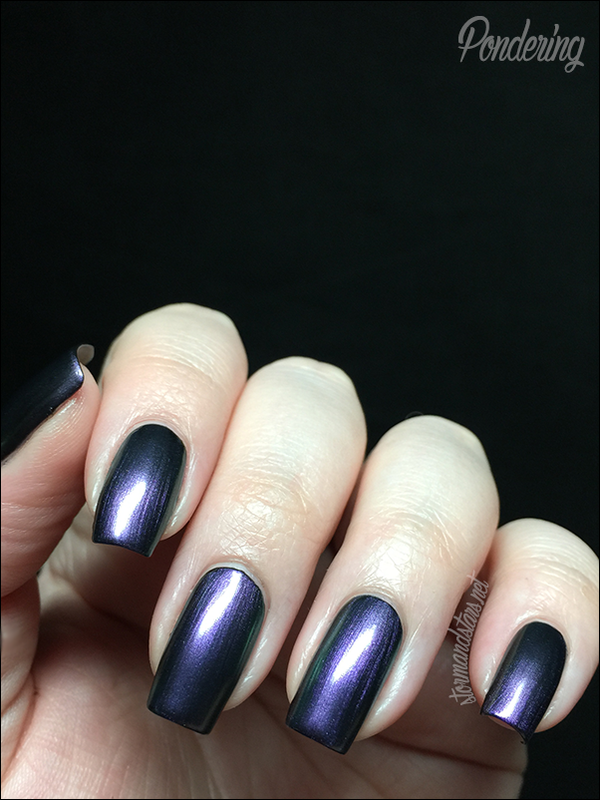 The formula was great as always and I love how shiny this is even without topcoat. Next is the first of two metallic polishes in this collection. 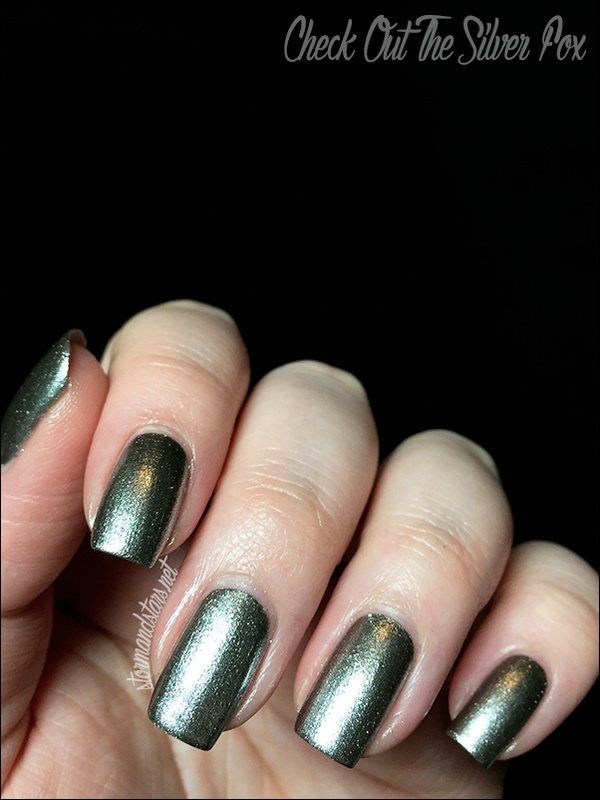 Wood You Wanna is an absolutely beautiful deep golden silvery polish. Can you tell I can't really describe it? You'll need to see this baby for yourself. Personally, I LOVE it. Want another reason to buy this beauty? 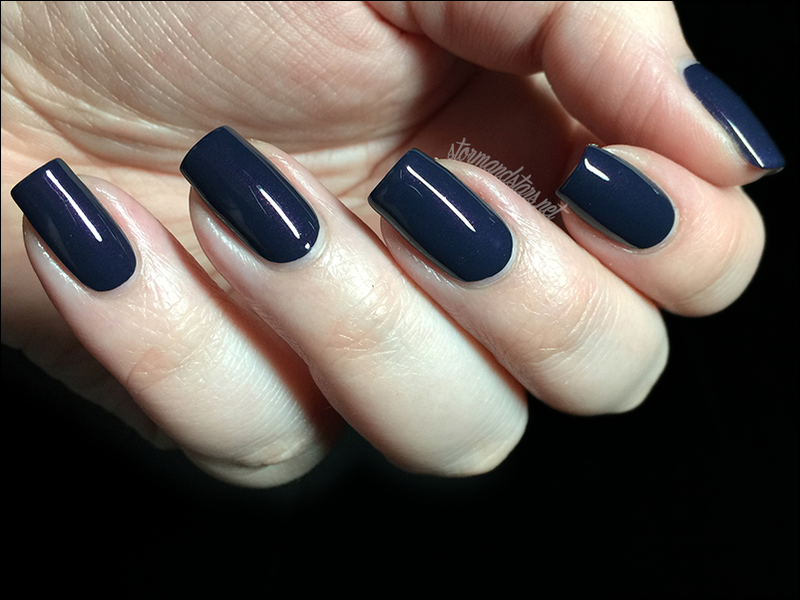 Its a one coater, this is no topcoat, the formula is perfection AND... It stamps beautifully. Huzzah! 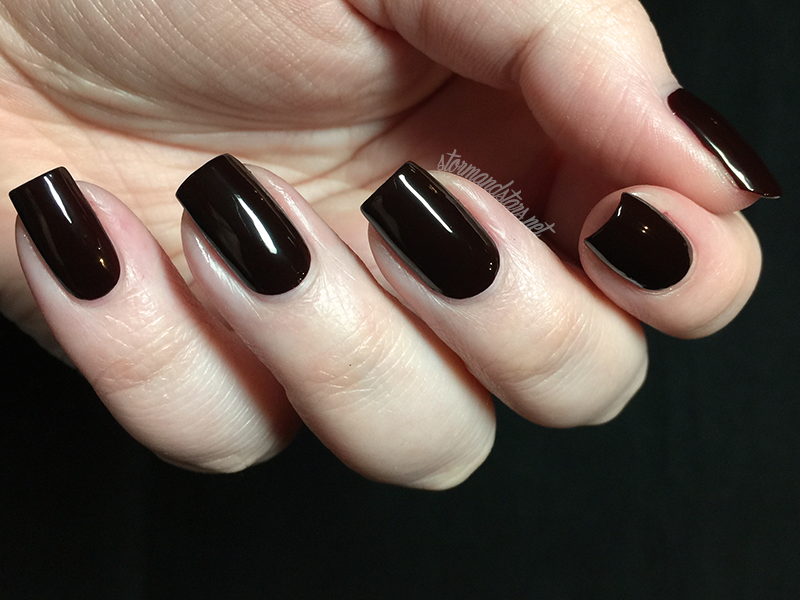 S'More Fun is the only polish in this collection that I felt was out of place. Even now, looking at my swatch sheet of it with the other colors, this bright slime green really sticks out. Though I suppose I could do a Halloween Slime nail art. Who's with me? 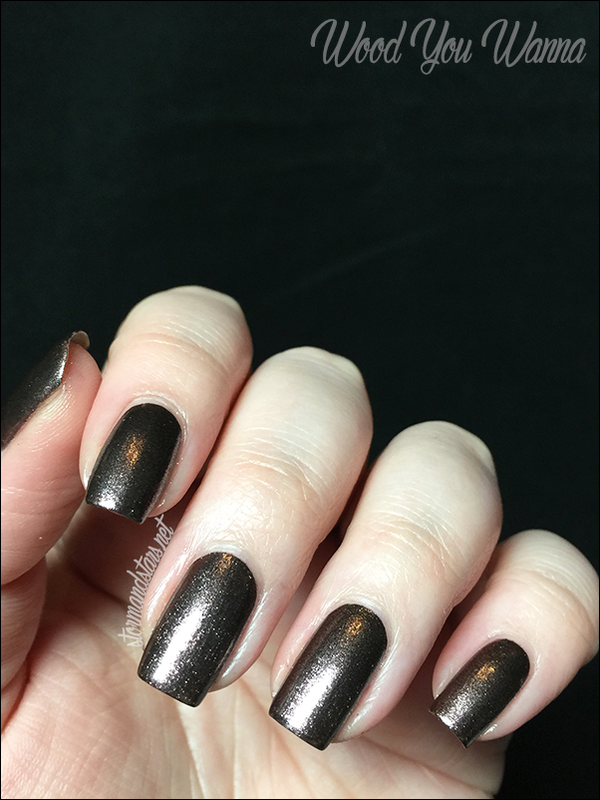 I used three coats of S'More Fun for these images. The formula is on the thin side, but goes on well and is very buildable. 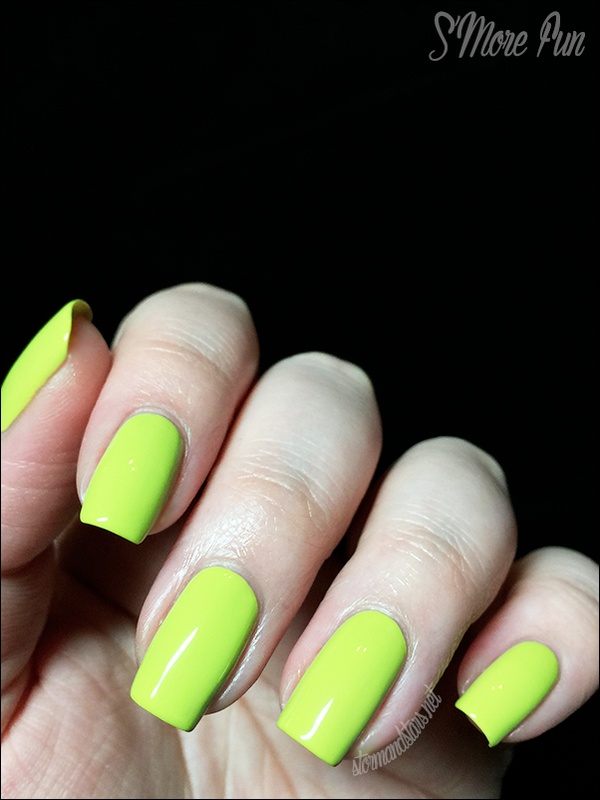 I did not use topcoat on this swatch. WOW. 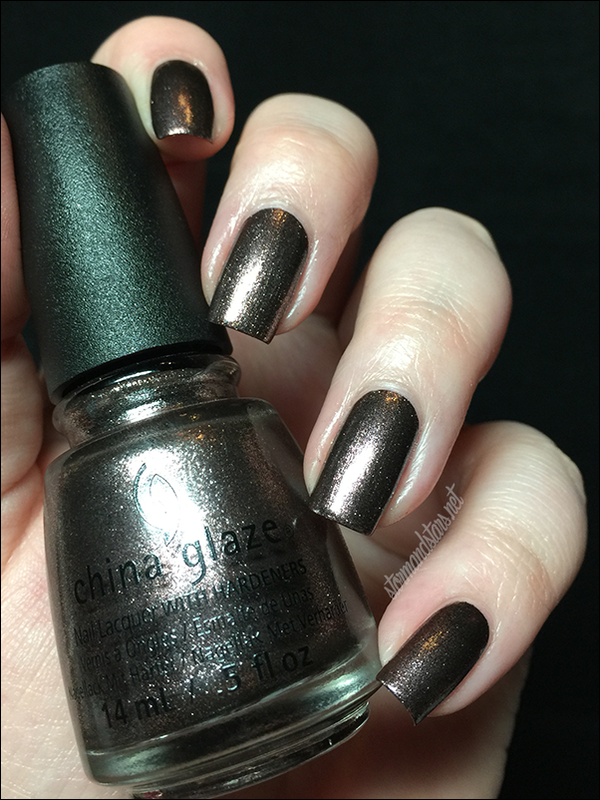 Gone Glamping is the second of the three duochromes from this collection. 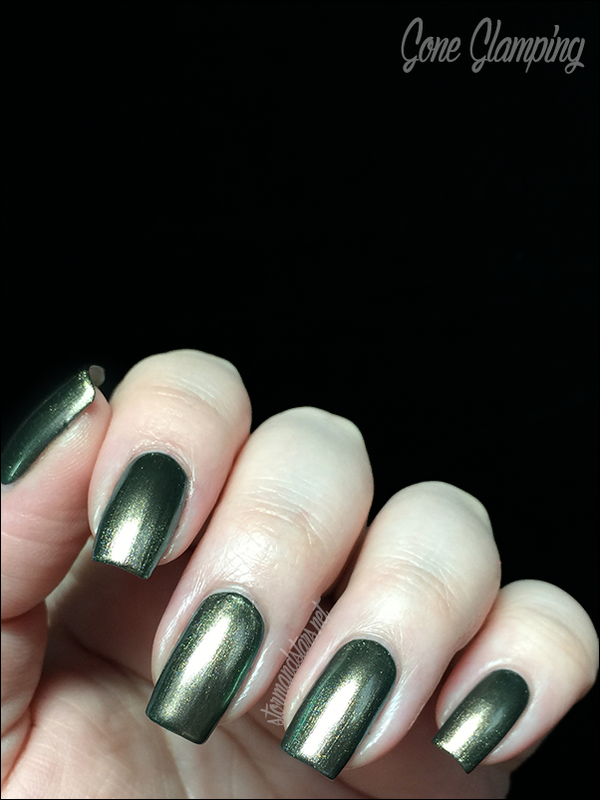 Gone Glamping is a greenish gold duochrome lacquer that I find very unique. 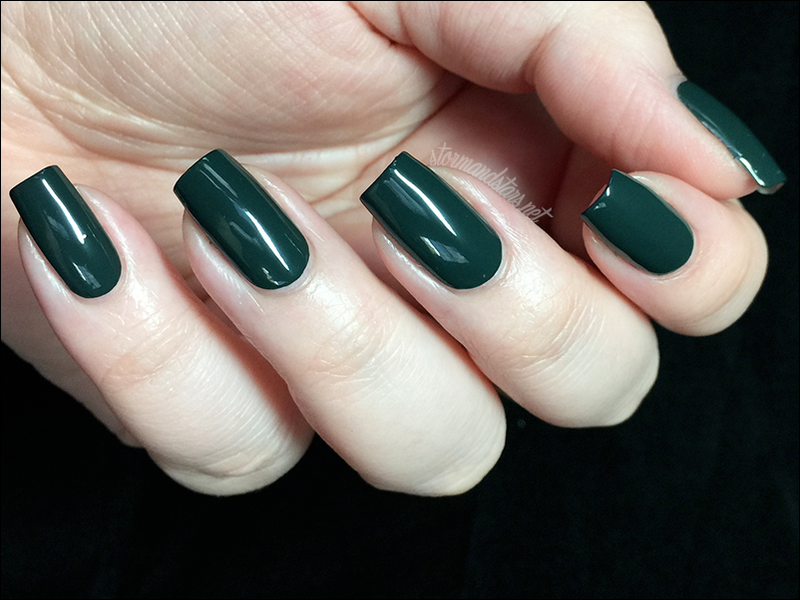 I started this swatch off with a coat of Cult Nails Nevermore and then added one thin coat of Gone Glamping for these images. The formula was great, I had no issues. 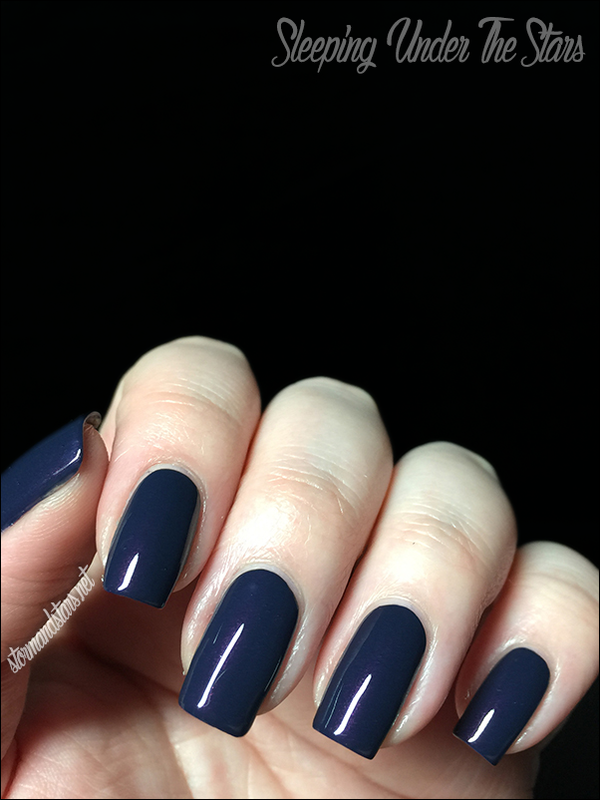 I did not add topcoat to this swatch. 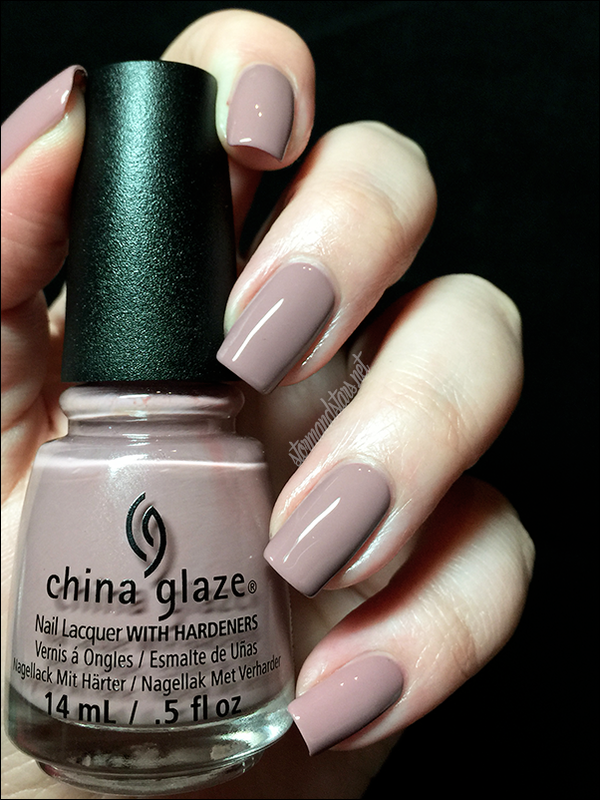 Next up is another neutral creme that I love. Here is Your Lodge or Mine? 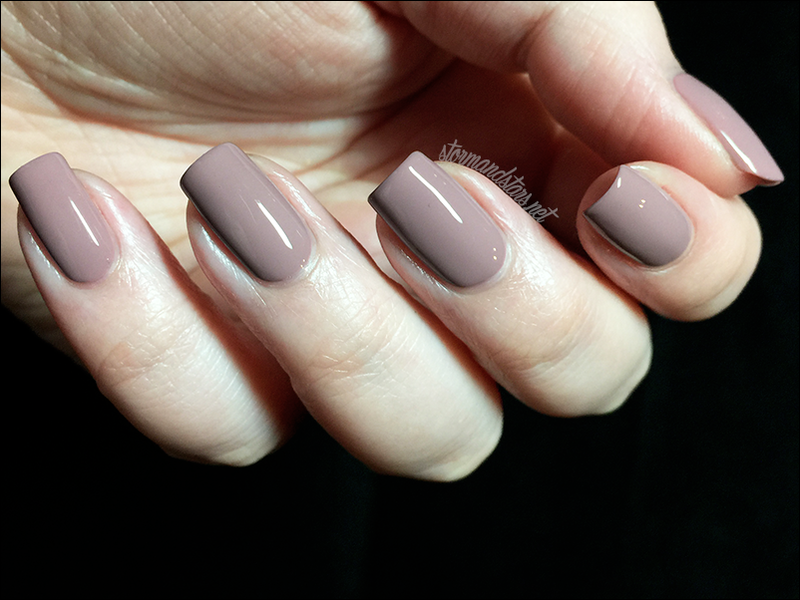 Your Lodge Or Mine is a mauve toned neutral that is really simply beautiful. 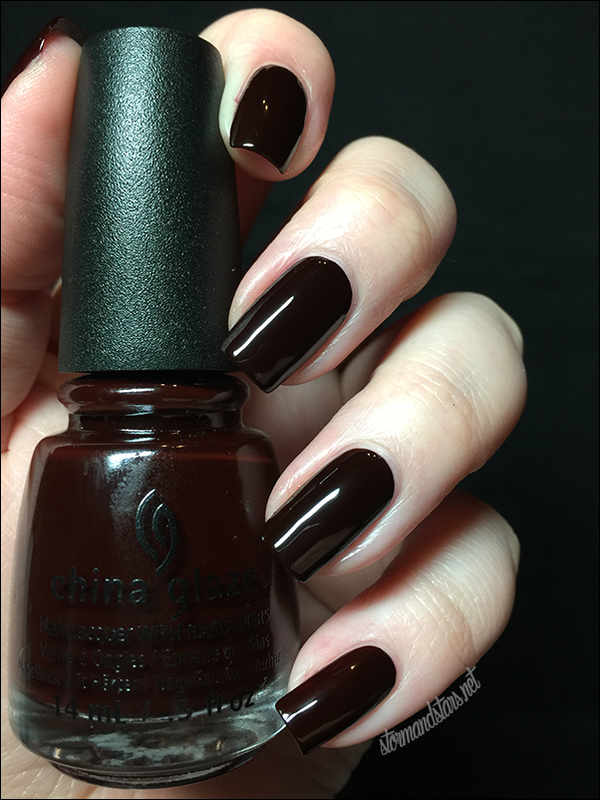 I painted on two coats of this lacquer for these swatches, and used a coat of topcoat. I found My Lodge or Yours? to be a good formula though I did have a few streaking problems, it evened out on the second coat. Next up is the silver sister to an earlier metallic, this is Check Out The Silver Fox. 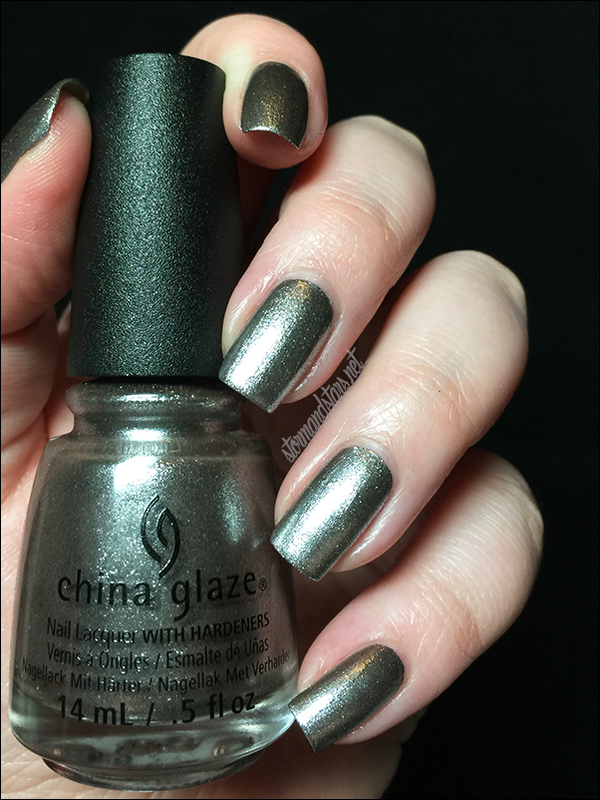 Check Out The Silver Fox is an almost gunmetal silver while still managing to be super bright under lights. It is really unique and one of my favorites in this collection. 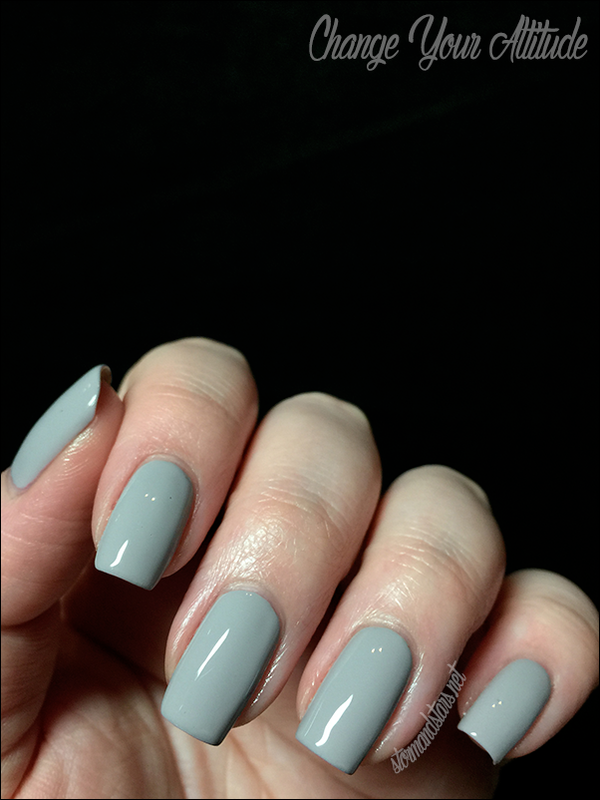 Just like Wood You Wanna, Check Out The Silver Fox is a one coat, no topcoat needed, fantastic formula polish that stamps wonderfully. I only have three more polishes left in the collection, but they're all stunners. This is the last of the three duochromes and is called Pondering. 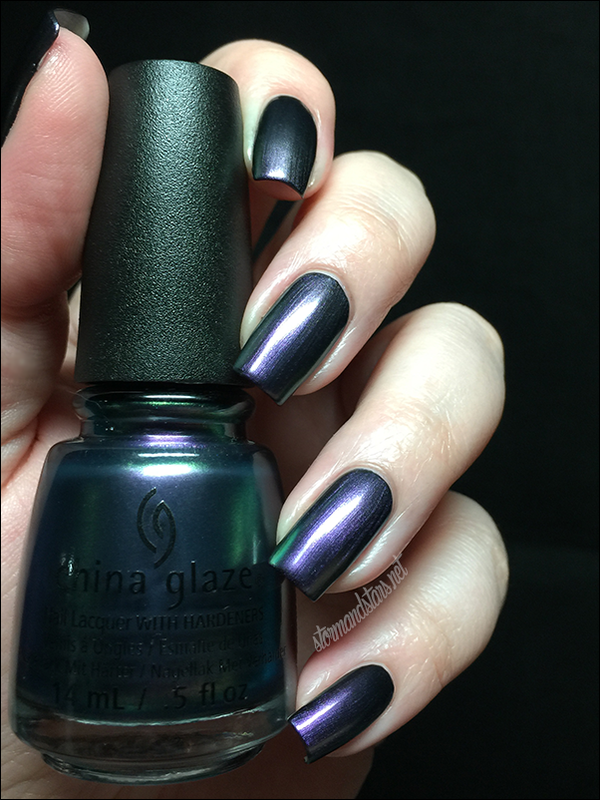 Pondering is a deep blue to teal to purple duochrome and I love it! 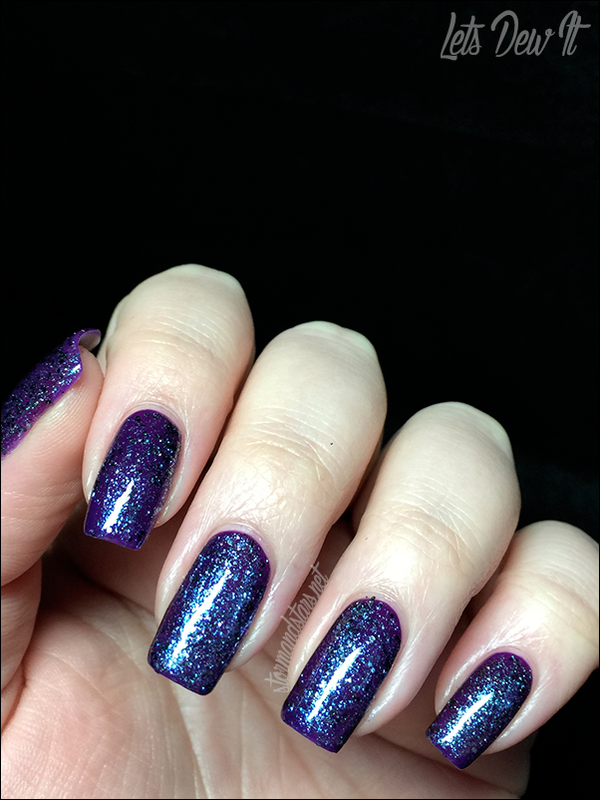 I used one coat of Pondering over Cult Nails Nevermore plus topcoat. The formula was great. Next is the only glitter ion the bunch, this one is Lets Dew It. 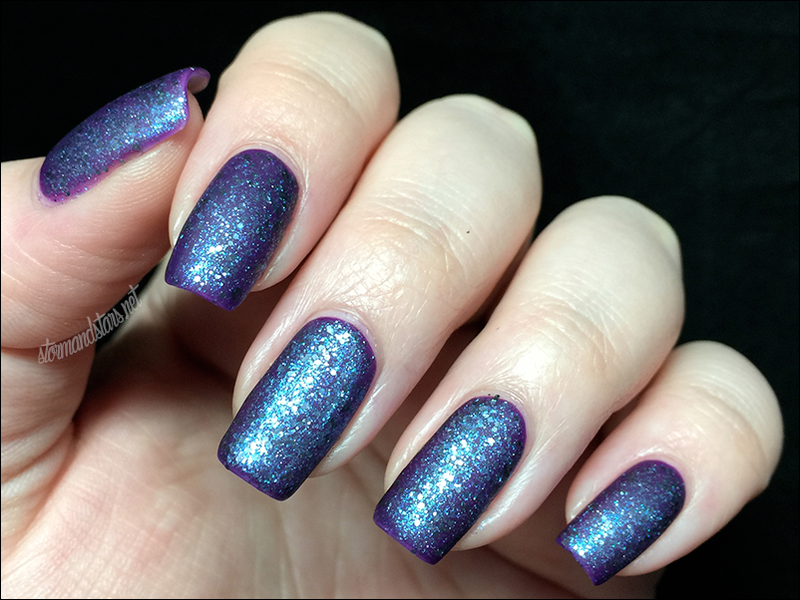 Let's Dew It is a super sparkly blueish glitter with tons of shimmer in the base, I really can't even describe it. Its crazy pretty. 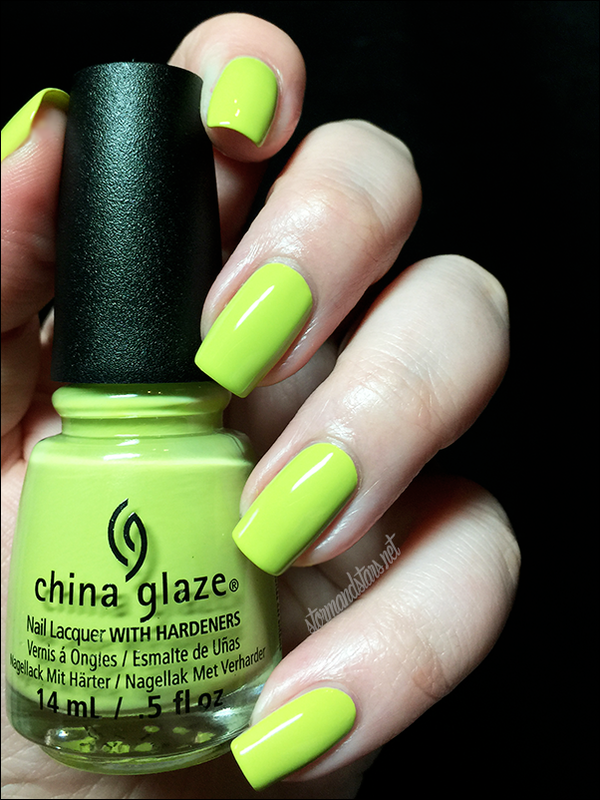 I used one coat of Lets Dew it over China Glaze Creative Fantasy for these images and I used two coats of topcoat to make it really glossy and smooth. 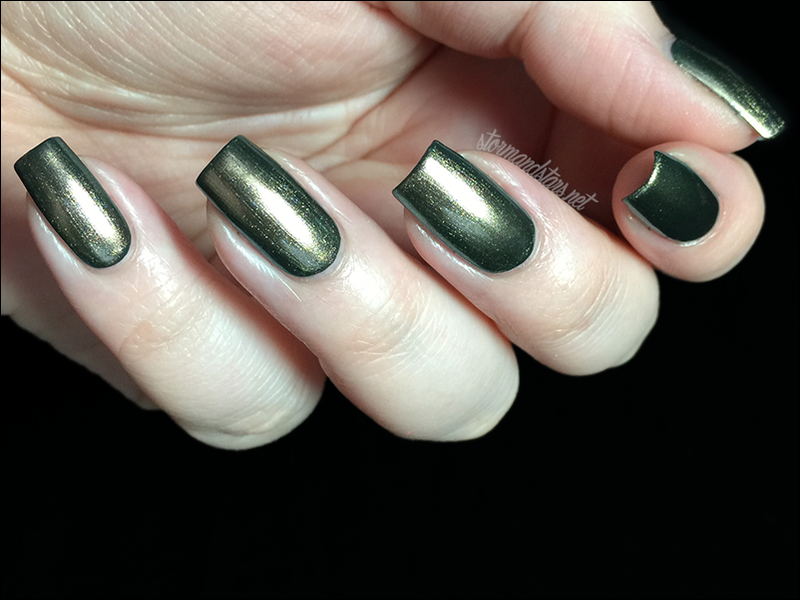 Of course, I had to add a matte finish to this look. WOWZA! Last up is another of my absolute favorites, and of course I had a hard time photographing it. This is Free Bear Hugs. 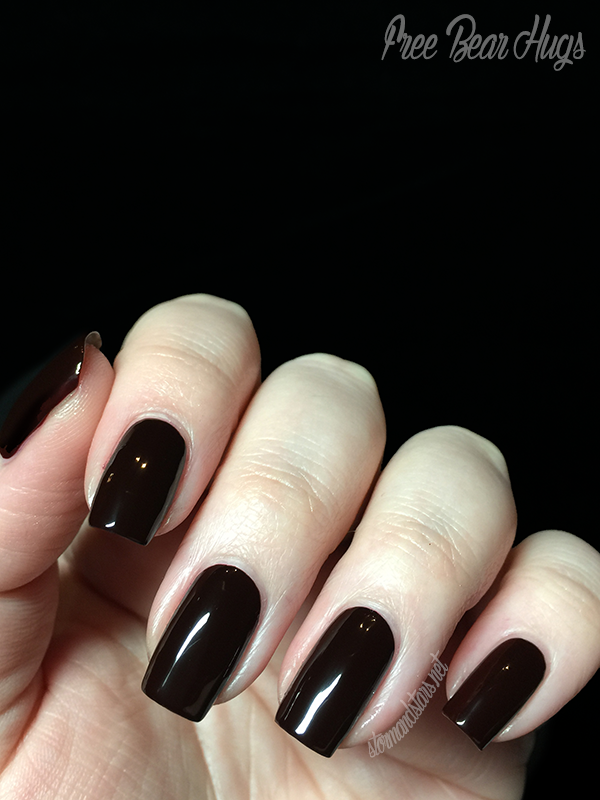 I know it looks black here, but Free Bear Hugs is a super deep, super vampy red jelly like creme. It is absolutely gorgeous. I will wear this all the time. YUM. 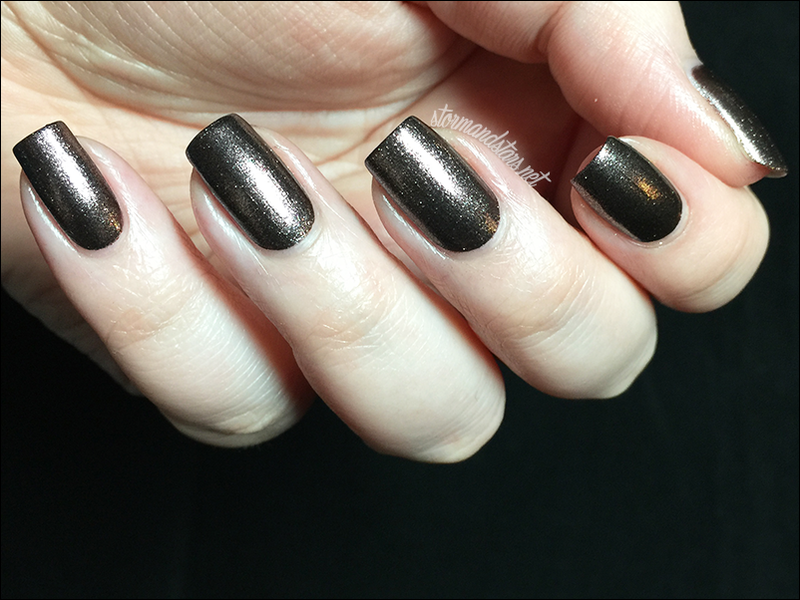 I did just two coats of Free Bear Hugs with no topcoat (omg look how shiny). 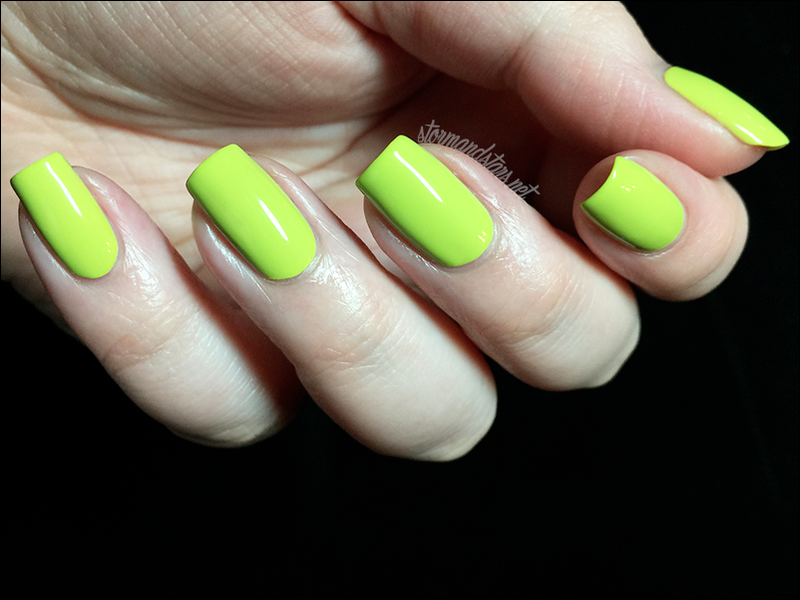 The formula was a little thick but everything evened out beautifully on the second coat. Whew! Thanks for bearing with me. This collection is pretty epic, so I'm sure it wasn't too difficult to sit through. Which lacquers were your favorites? There are actually quite a few that I like, and not just the cremes, as I thought. Cabin Fever and Wood You Wanna are stunners! Beautiful swatches.